I saw a pen in a store the other day. I picked it up and took a look at it cause it was prettier than most. The clerk said, "What's the matter? You don't like German pens?" I said, "No. 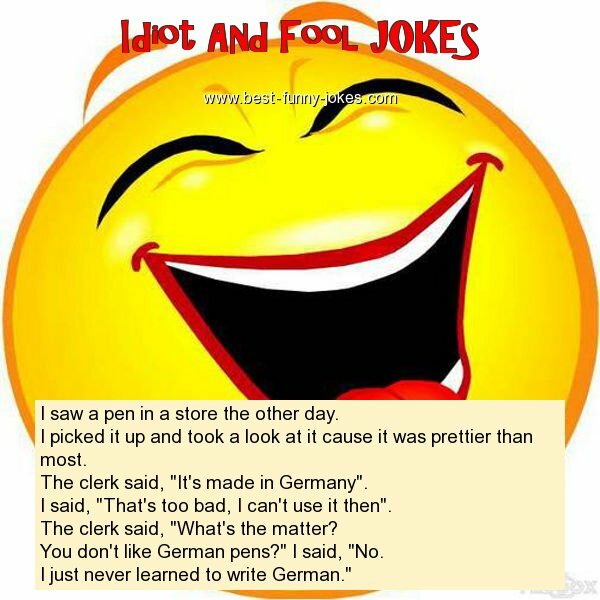 I just never learned to write German."